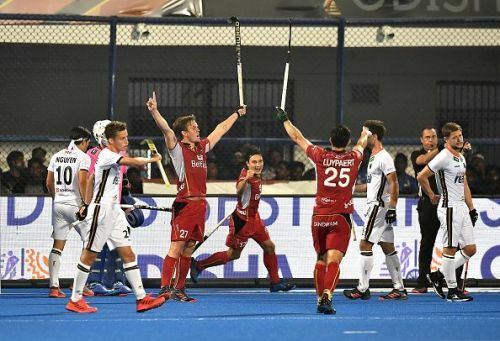 Reiterating their number three position in the FIH rankings, Belgium came up with a resilient performance to vanquish two-time champions Germany by a narrow 2-1 margin in the third quarterfinal of the 2018 Hockey World Cup. The Red Lions reaped rich rewards for embarking on an aggressive approach to catch their defensively strong opposition off guard. In what was an engrossing encounter at the Kalinga Stadium, Germany took the lead in the 14th minute through some excellent team-work. A string of deft passes eventually resulted in Dieter Linnekogel slotting the ball into the back of the net. Belgium came roaring back when Alexander Hendrickx's sublime drag-flick found a way past Tobias Walter in the 18th minute. The remainder of the second quarter, as well as the entirety of the third quarter, evinced a game of cat and mouse as neither team was willing to give an inch. In the 50th minute, Tom Boon displayed tremendous awareness to fire a rebound off Walter into the goal. 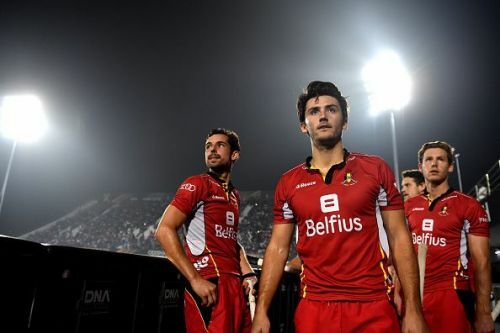 Back in the lead, Belgium held on till the final hooter to seal their maiden semifinal appearance in World Cup history. Here are the three standout players from Belgium's riveting triumph against Germany in the third quarterfinal. Arthur van Doren, who had procured the Player of the Match award against Canada, added to his tally with another influential display in the quarterfinal. The 24-year-old defender's steady composure helped Belgium avert plenty of threatening marches from the German attackers. During the second quarter, van Doren's crucial interceptions and calm clearances frustrated Germany to a significant extent. As the game progressed to its business stages, he held his nerve to deny prowling attackers like Dan Nguyen and Mats Grambusch. In the last quarter, van Doren once again came to Belgium's rescue with his tranquil defensive skills. His confident demeanour as well as ability to predict their moves aggravated Germany's woes.